I love Greek Mythology. 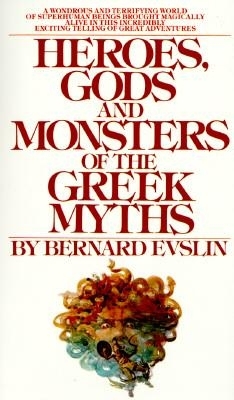 I still have a copy of Bernard Evslin's Heroes, Gods and Monsters of the Greek Myths on my shelf that I thumb through once in a while. My high school English teacher loaned it to me, and I never really returned it. It's too late to take back, but I hope the library police don't track me down (tell your mom I said sorry, Ginny!). All cultures … have grown out of myths. They are founded on myths. So I've played with the ideas of mythology being an imprint or record or history - something to be played over again. Who's to say that data isn't already written in our genes? Perhaps not, but it's certainly inside the realm of human imagination. Fall to Earth (and Pillars of Fire and Light Series) is more than a retelling of King Arthur, but the recasting of a myth at a place where technology supplants magic as the medium of power and mysticism. It's not too heavy handed (or on the nose like, say Rick Riordan's work), but judge for yourself. Just a few more days to grab an advance reader copy.